is an innovative start-up company supplying intensive care units for critically ill patients with continuous oxygen monitoring systems for improved control and safety. We are a Swedish medical company based in Stockholm. 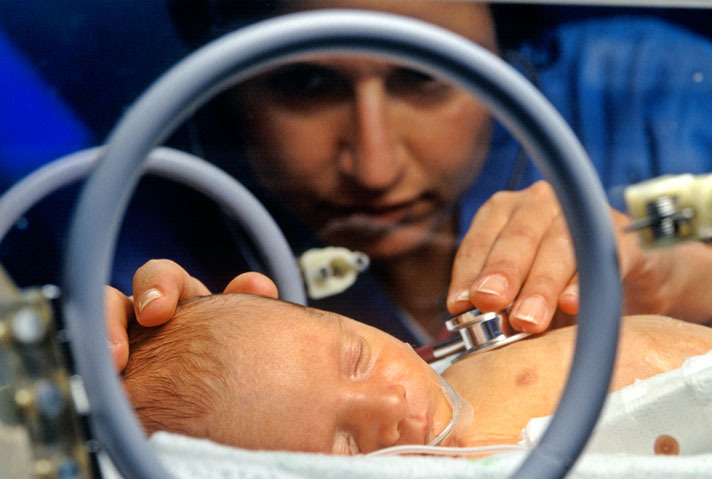 Extremely preterm babies need advanced intensive care due to underdeveloped organs and a weak immune system. Due to insufficient pulmonary function these babies need additional oxygen supply and ventilation support. Too high oxygen level increases the risk to develop eye damage while too low level increases the risk for serious organ damage and mortality. Hence, oxygen supply should continuously be controlled to keep blood oxygenation within very narrow limits to minimize the risk for acute and permanent complications. Present methods are clearly not sufficient. Accessing blood oxygenation in real-time will improve precision of oxygen therapy for preterm babies. This therapeutic improvement is likely to reduce incidence of permanent damages and mortality, a statement which has been verified by key opinion leaders in neonatology. Neosense Technologies has developed a world unique sensor for real-time measurement of blood oxygenation. In intensive care it is fundamental to monitor and control blood oxygenation within limits that avoids putting the patient at risk for serious complications. Neosense offer solutions to healthcare providers worldwide with outstanding capability for real time measurement, monitoring, and control of blood oxygenation for critically ill patients.